New York Comic Con Powered by Lua! Lua makes its way onto the Show Room floor at New York Comic Con 2015. Labelled as the second-largest event in New York City, the NYCC witnessed 151,000 fans roaming around the booths, panels and showcases in 2014. The ReedPOP event entrusted its staff with Lua's enterprise-grade mobile messaging to operate the 4-day, massive-scale, pop-culture exhibition. With content, autographing, photographing and panel teams working collaboratively, fans could experience the exhilaration of seeing their favorite artists. "The Marvel guys are running late, let the people in autographing know." Lua's real-time group messaging connected cross-department teams with news on event changes and staff shifts. Best of all, information was handled on a secure, file-sharing platform, including the transfer of staffing schedules, phone lists, and venue floor plans. Shipments were made easy. The marketing and sales teams powered through setup issues by sending each other vendor details to manage their staff's time more efficiently. Lua's hassle-free calling connected the sales team with shippers for updates on delivery, while ensuring that sensitive, client information was in safe hands. "That's a wrap. Floor closes in 5, let's start sweeping and get everyone out." Event-wide broadcasts made it possible for NYCC teams to open and close their doors on time, avoiding confusion from overly-anxious fans and stragglers. Emergencies were handled with care as field teams got in touch with security using broadcasts and group messages in order to reconnect missing children with their parents. Enterprise messaging really showcased its strengths when the marketing and photography teams collaborated to present live event feeds on celebrity, author and artists. With the ability to send photos and videos to the entire team over a single, communication platform, tweeting, posting and updates were a breeze. 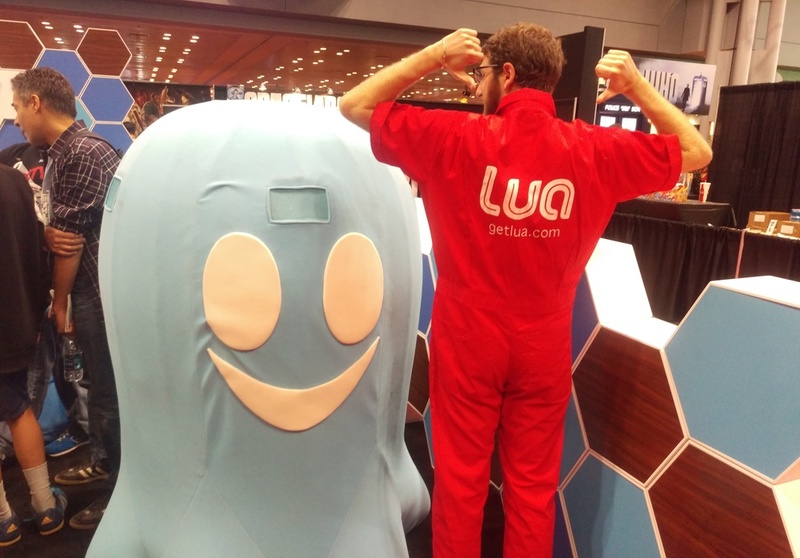 Powered by Lua, the NYCC 2015 staff put on a show its fans are sure to remember. Easy registration, smooth event transitions, and a strict schedule was made possible with the leader in enterprise messaging. Catch the Lua team at the next ReedPOP event, C2E2 2016!